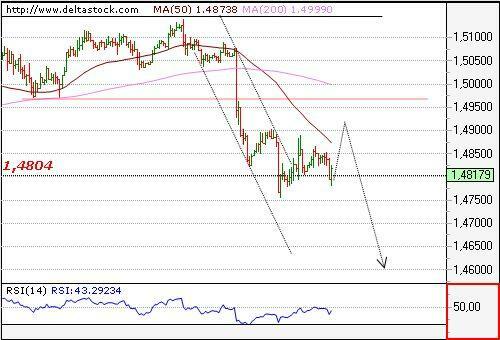 The downtrend is intact with a resistance at 1.4785 and crucial level at 1.4865. While the resistance holds, further depreciation is to be expected, towards 1.4623, en route to 1.4450. Still no signs of a reversal here, so allow deeper drowning toward 85.79 before larger rebound. 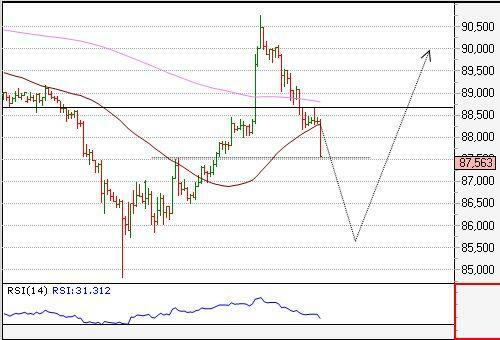 Intraday resistance is seen at 88.19, followed by the crucial 88.72. The break below 1.6313 resulted in a fast sell-off, that bottomed at 1.6167, few pips above the important support around 1.6130. 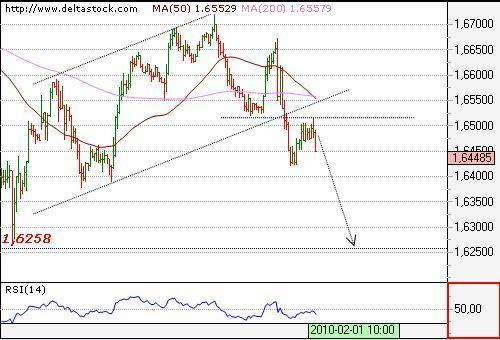 Current intraday bias is positive for 1.6316 and a clear break above that level will signal, that a larger rebound is on the run, towards 1.6460 key resistance.